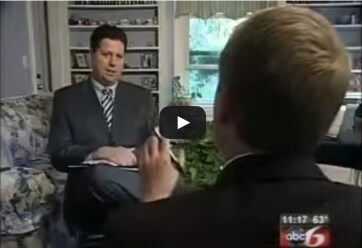 Why Choose Attorney Mark Buckley? Honest, valuable legal advice over the phone, without obligation. You’re in control. Understand all debt relief options before paying one penny or signing a contract. With 24 years of bankruptcy law experience, Attorney Mark Buckley has helped over 3,000 families in Rhode Island. Every single case filed has been successful. His expertise and commitment are illustrated in his client testimonials and Google Reviews. For convenience and confidentiality, in-home appointments are set after being pre-qualified over the phone. Destroying debt is only half the solution. Rebuilding credit is equally important and Attorney Mark Buckley has a proven 14-week program ($ 1,000 value) for achieving a 720 FICO score in as little as 12-18 months. I offer a QUICK and AFFORDABLE get-out-of-debt solution and enroll clients in payment plans that work. No other lawyer with my experience and reputation charges less. If you don’t qualify or need to file for bankruptcy, sometimes negotiating a lump-sum payment with a creditor makes a lot of sense. Attorney Mark Buckley can contact your creditor directly and propose a settlement for less than the full amount owed. In many cases, clients can save 50% off the original amount. The debt settlement option is only available to clients who have immediate funds to settle the account and to later pay income tax on the amount of debt forgiven. If you’re considering debt settlement, we can discuss whether it’s right for you. There is no attorney fee unless a successful and agreeable settlement is obtained. 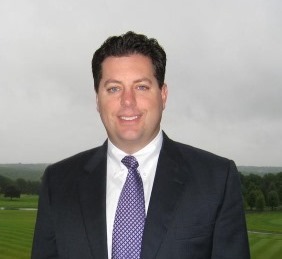 My name is Mark Buckley and I’m a Rhode Island bankruptcy lawyer. My practice is devoted to helping honest people struggling with too much debt. I am the only bankruptcy lawyer who is a CERTIFIED FINANCIAL PLANNER™. I am also in a select group of Rhode Island bankruptcy attorneys who have filed bankruptcy protection for more than 3,000 clients. To date, every client of mine has received a successful bankruptcy discharge. I have enjoyed being a Rhode Island bankruptcy lawyer since 1991 and my clients come from each of Rhode Island’s 39 cities and towns and nearby Massachusetts. Every day, I offer Chapter 7 and Chapter 13 bankruptcy information through in-home and free telephone debt consults. I am a member of the Rhode Island Bar Association and Massachusetts Bar Association. I’m a former contributing author to the Bankruptcy Law Network and a member of the National Association of Consumer Bankruptcy Attorneys. I also served on the attorney Advisory Committee to the Rhode Island Bankruptcy Court. If you are being hounded by bill collectors for credit card debts, medical bills, or have other debt problems, I can help. With an understanding of Rhode Island bankruptcy law and a call from you, I can explain how to erase debt, protect your property and get a financial fresh start. Together, we can explore debt settlement options, credit counseling, and protections available under the new bankruptcy laws. You can then decide the best course of action to take. For more bankruptcy information, or particular questions on how to file bankruptcy in Rhode Island, feel free to contact me directly. I respect your privacy and your call will be confidential. Experience: I have filed over 3,000 Chapter 7 bankruptcies in 27 years with 100% success rate. Professionalism: I take your case from start to finish and won’t hand you off to a “paralegal.” Other bankruptcy lawyers rely on their support staff to do most of the work. Cost: My bankruptcy fee is fair and affordable. No other bankruptcy attorney with my experience and reputation charges less. With over 6,000 licensed attorneys in Rhode Island, I never wanted to be a generalist; taking any case that walks in the door. Instead, I’ve devoted my practice to bankruptcy and debt-relief. Focusing on clients who are struggling with uncontrolable debt, I offer in-home appointments throughout the state. My clients love in-home appointments because meetings: are with a bankruptcy lawyer (not with a “paralegal” as in most bankruptcy offices), are more relaxed and unrushed, and more productive because most of the documents that I’ll need to review will be close at hand. Bottom line, In-home appointments are confidential and put me in a great position to help you. If you are drowning in unpayable debt, I can help. 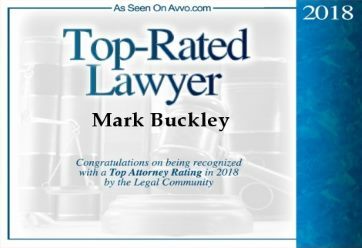 Hello, I’m Attorney Mark Buckley. I am the only Rhode Island bankruptcy lawyer who is a CERTIFIED FINANCIAL PLANNER. I can help you escape the stress and get your financial house in order. For 24 years, I have helped thousands of Rhode Island families destroy debt and rebuild their credit. If you are ready to take action, give me a call for a FREE and confidential consultation. If you’re like most people, once you understand your options, you will feel much better. I care about each of my clients and promise never to take a case unless I believe it will be successful.